Welcome to your new home in Jumping Pound! 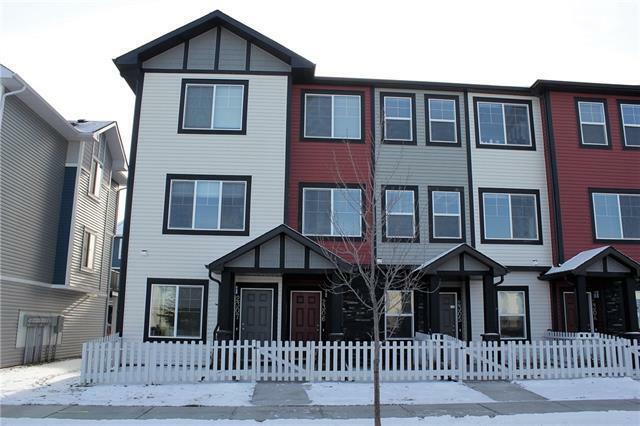 This two bedroom 1.5 bath town home stands outs from all the rest in the complex with 15K in upgrades not fund in the other units. 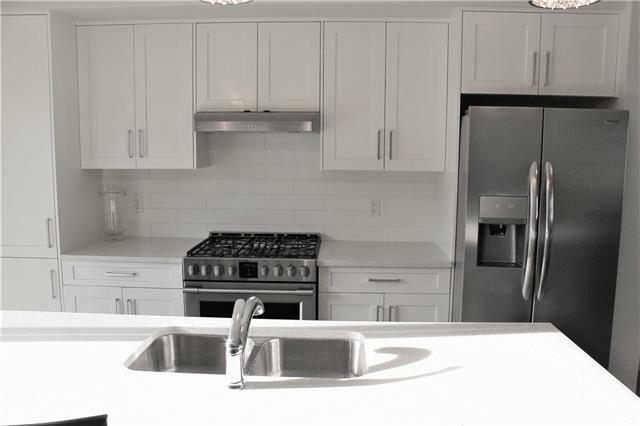 Those upgrades include a gas range, laminate flooring added to upper level, custom railing instead of a stub wall, upgraded lighting, upgraded stainless steel appliances and full size washer/dryer, and even the shower doors have been upgraded. 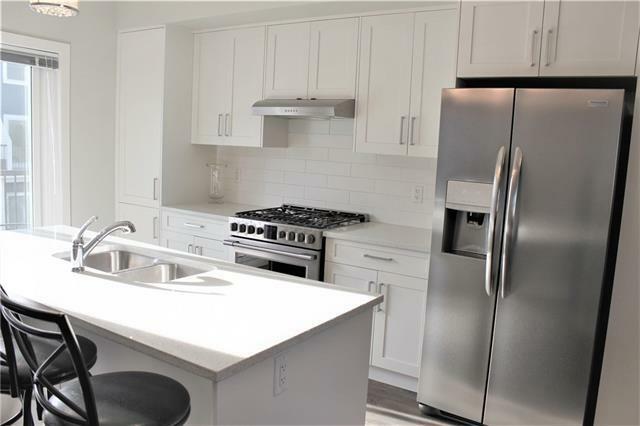 Those are just the upgrades but you will also fall in love with the white kitchen, large island complimented by the white sparkle quartz counter tops, soft close drawers and the matching bathroom counter tops and cabinets. 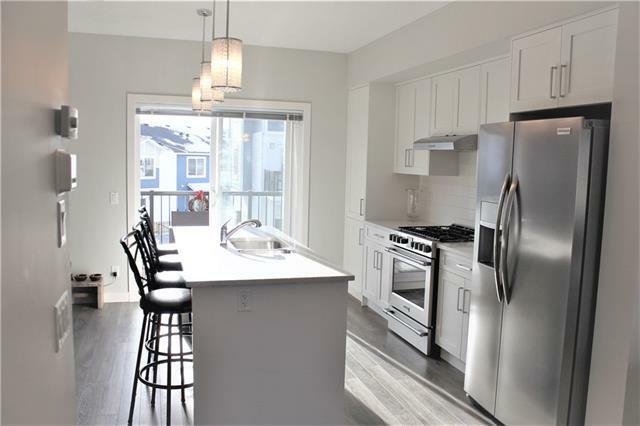 This unit is very bright and has an open concept design with large windows facing north and a patio facing south with tons of sunshine. From the north windows enjoy amazing views of town and the Mountains. Take advantage of everything the area has to offer with the walking trails, sitting areas, and on your walks take in the views of the mountains and the nature reserve.